Romford’s Tony Conquest (15-2, 5KO) has come through a keep busy bout and the last hurdle ahead of his clash against Cardiff’s Craig Kennedy (13-0, 7KO). The cruiserweight routinely out-pointed Lithuanian journeyman Igoris Borucha (10-34-3, 2KO) over four rounds at the Civic Hall in Grays, Essex on a show promoted by Carl Greaves. 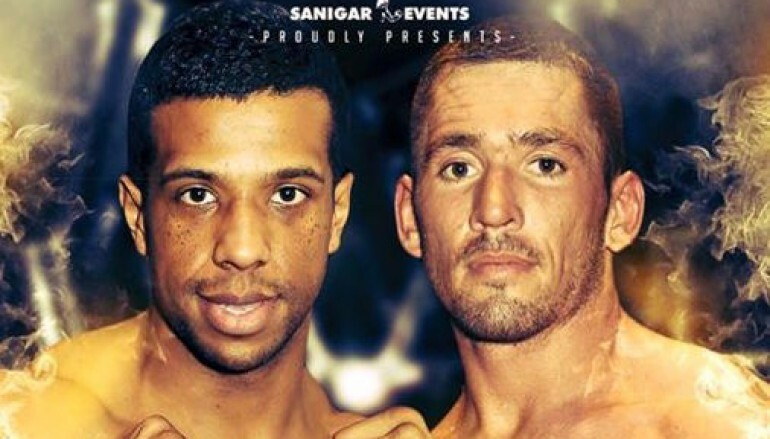 Conquest will now face his fellow 31-year-old Kennedy in a final eliminator for the British title on Saturday 6th February 2016 at the Newport Centre on a show hosted by Sanigar Events, live on Eurosport (Sky Ch. 410). Last night’s outing was Conquest’s third straight victory, all coming against journeymen level challengers and by decision, the previous opponents being Tomislav Rudan and Jiri Svacina. Conquest’s last defeat came in April 2014 when he suffered a fifth round knockout against Ovill McKenzie, relieving him of the Commonwealth title he won with a unanimous decision against Australia’s Daniel Ammann. 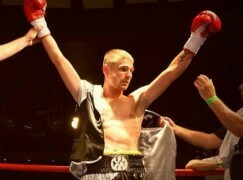 Since then, McKenzie has collected the British title with a second round stoppage of Jon Lewis Dickinson and defended it with a majority decision against Matty Askin. McKenzie then fought to a majority decision draw against IBF world champion Victor Emilio Ramirez in Argentina on just eight days notice. McKenzie will now have to defend his title against the winner of Kennedy-Conquest or vacate the Lord Lonsdale strap when the British Boxing Board of Control [BBBoC] order a mandatory defence. 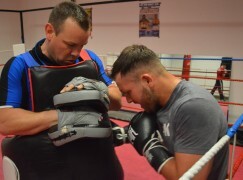 Peter Sims, the experienced London fight figure and previous trainer of Wadi Camacho, who Kennedy beat courtesy of a second round disqualification and seventh round knockout in October 2014 and March 2015, now trains Conquest. Kennedy has also ticked over recently, appearing on the undercard of Hennessy Sports and Sanigar Events’ joint promotion in Bristol, live on Spike TV. Three weeks ago, ‘The Kid’ cruised to the sixth of eight scheduled rounds before finishing Tamas Bajzath with his trademark left uppercut. 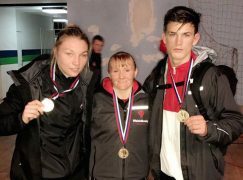 The undercard to support Kennedy-Conquest is yet to be announced but it’s understood that Commonwealth Games medalists Jamie Arthur (19-6, 4KO) and Nathan Thorley (3-0, 2KO) will feature.